What a wonderful thought. Not to mention a wonderful memory! Remember playing that game for HOURS! I do remember those silly things! We would beg our parents (or at least I would) for a new one every year! Kids here don't seem to understand the game..which makes me sad. 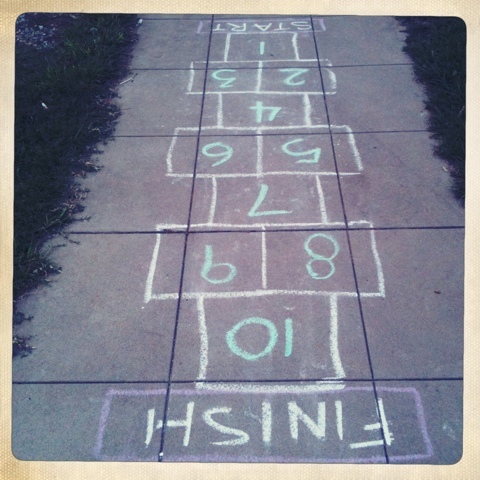 I did draw one out on the drive way and play with my girls a few times this summer!